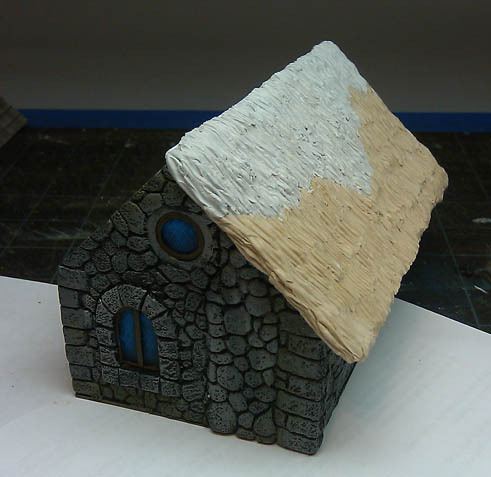 I'm working on putting together an alternate thatched roof for the Armorcast stone cottage. Hopefully I can get them to cast some. I ran out of the brown putty while doing to exterior and had to switch to the grey. I still want to add some texture to the purlins and then add a few rafters. Nice detail on the roof, like it a lot! A couple of months ago I did a 1/72 Japanes village with thatched roofs. 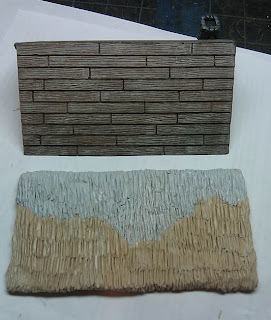 I used strips of terry cloth towel that I painted,and the effect was quite good.I got the idea from a blog that was about a Japanese themed Mordheim game. There's also another technique I've seen, using teddy-bear fur. 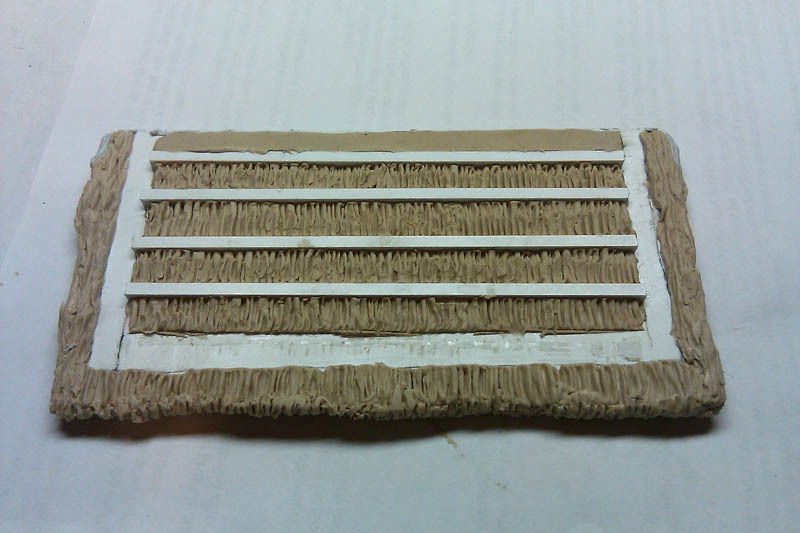 You comb PVA glue or some other stiffener through it, and let it dry. I haven't tried that one before. 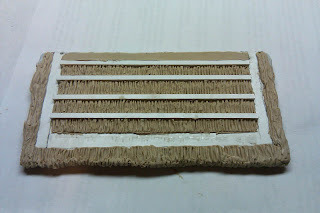 Oh yes,I've done the faux fur thing(I have one of my ECW buildings that I did that on).I find the towel easier to work with,the "knap" is much shorter and the paint basecoat stiffens it right up.You basically only have to trim the piece to fit the underlayment.A white hand towel from Dollar Tree gives a decent amount of material. 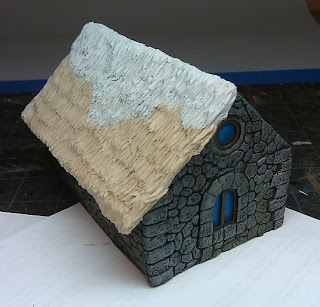 Your roof looks good..the big advantage is you can make a mold of it and cast loads of them. Or better yet, I'm hoping to give the originals to Armorcast and have them mold and cast a bunch so I don't have to figure out how to do that myself.